Special Guest: My lovely wife. Memorable Moment: It only took 14 minutes to drive home from this game. RECAP: The long, brutal off-season has finally ended and it’s time for Dodger baseball that counts. For us, The Day After Opening Day has become our official start to the season and spirits were running high when we left for the stadium. Along the way, we took a pit stop to do our civic duty. 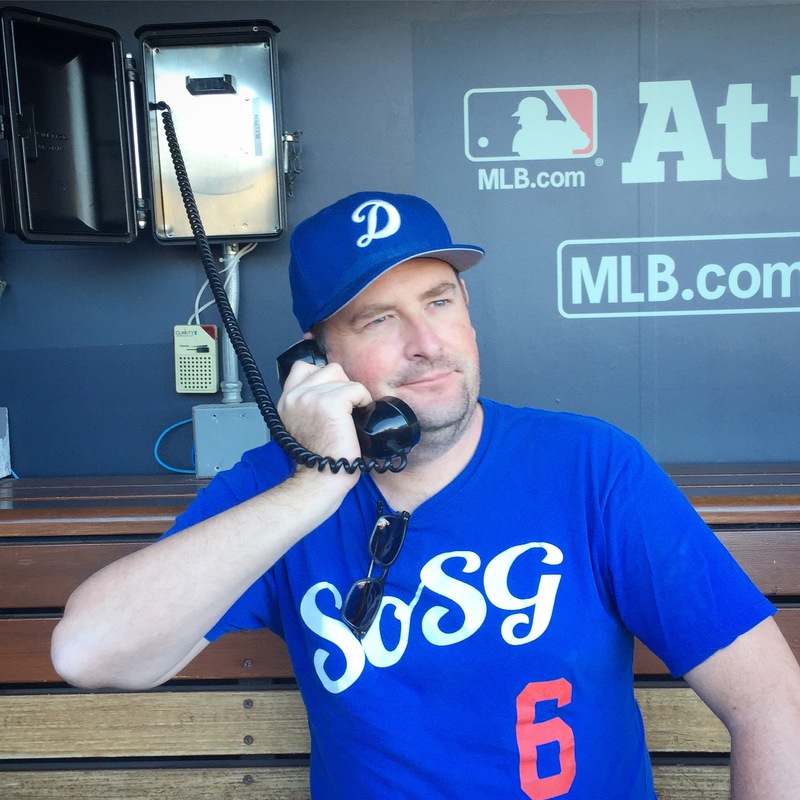 One of the best off-the-radar aspects of the Dodger Stadium experience is the consistency among the game day staff. 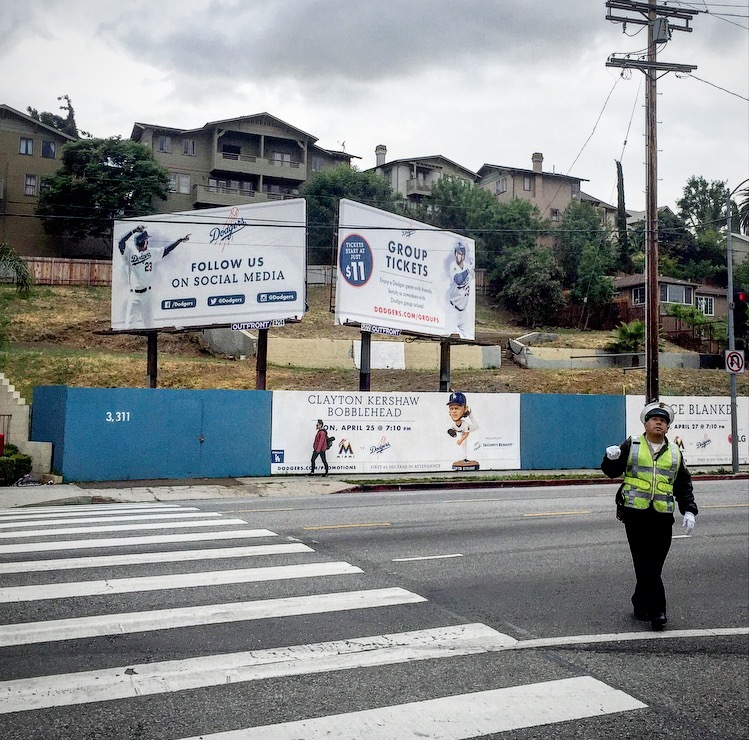 If you go to enough games, you’ll eventually notice the same employees posted up in the same spots. Game after game, season after season. Our aisle has had the same usher the four seasons that we’ve been in Section 2. She was all smiles as she welcomed everyone back. My favorite beer vendor was at my favorite, super secret beer stand, and I got my nightly scouting report from my favorite cashier at the self-serve concession stand. I always start our transaction by asking how the Dodgers are looking tonight and she replies with a detailed scouting report that’s usually sprinkled with some Yoda-level wisdom. 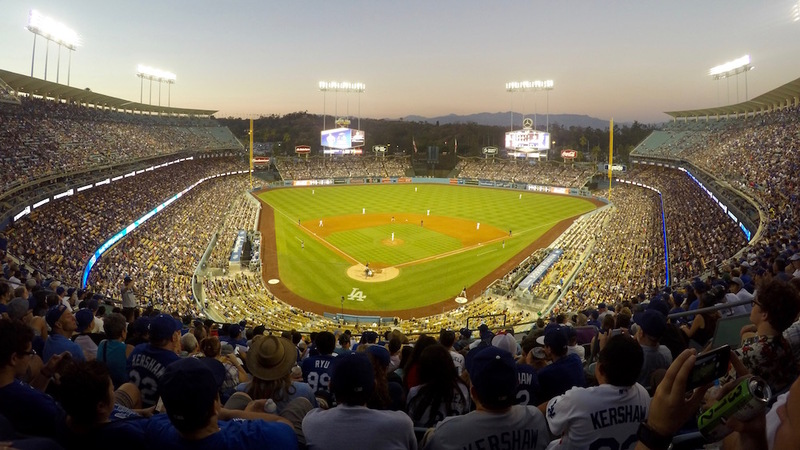 The stadium was still buzzing in the wake of the Dodgers’ 14-3 Opening Day romp. The new pre-game pump up video is incredibly well done. 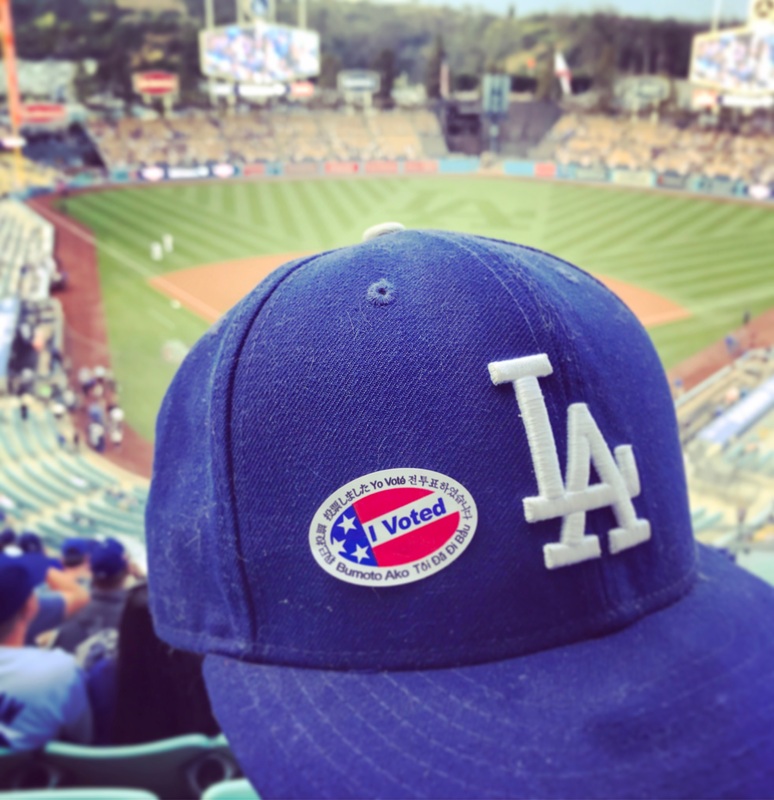 Instead of relying on Kendrick Lamar (like last year) or some other random grab bag of celebrities, the new video features a wide assortment of Dodger fans all around LA that gives a real sense of pride in being a fan. The best part about the video is that it starts out with a slow burning “Let’s Go Dodgers” chant that gets the crowd rocking as if it were a playoff game. As the randos that made up the Padres’ starting line up were introduced, I wondered why they were even out there. They’d save themselves a lot of time and trouble and make it easy on everyone if they just forfeited the game. They’d probably have more fun catching an early dinner than catching a second consecutive beat down from the Dodgers. Then the game started and the Boys in Blue forgot how to play baseball. Our friend Marc is already in mid-season meltdown form. Following the Padres’ 2 run offensive explosion to start the game, my lovely wife asked me to pass her our binoculars. “So I can get a better look at Dave Roberts punching Kenta in the face,” she replied. 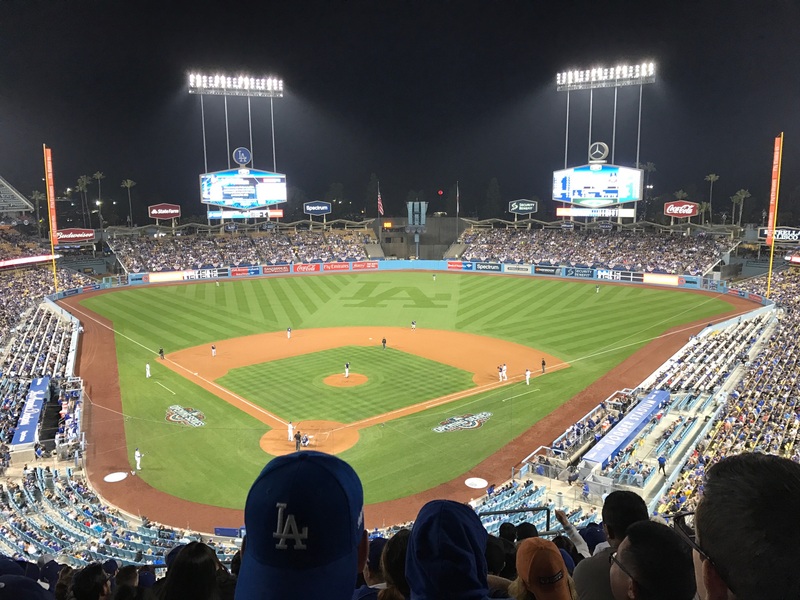 The Dodgers’ half of the 1st started out promising until Corey Seager stepped to the plate and promptly grounded into the first of four spirit crushing double plays of the night. Most everyone hit the ball hard, the only problem is that everything was hit right at the defense. 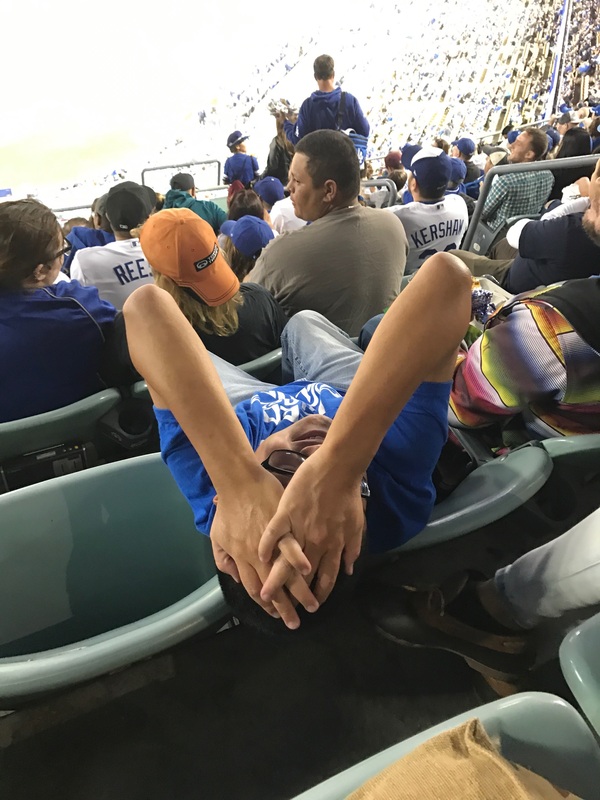 By the 7th inning, all we could do was accept the Dodgers’ fate and have a few laughs about such a bummer way to start the season. I guess you need games like this one to make October that much sweeter. Even still, I would have been perfectly happy if the Padres would have forfeited. 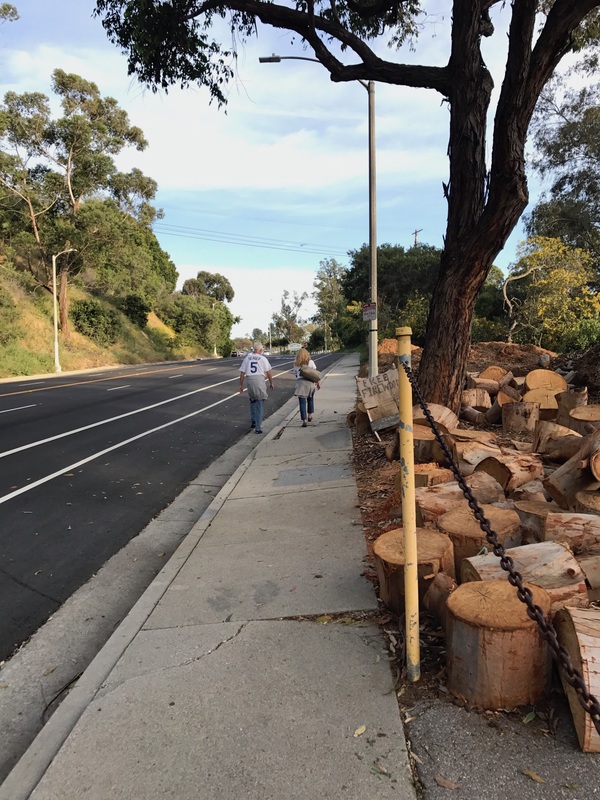 As these fans passed us walking into the stadium, the fella in the Corey Seager jersey told us that he hates walking but he hates giving Frank McCourt money even more which is why they park outside the gates. 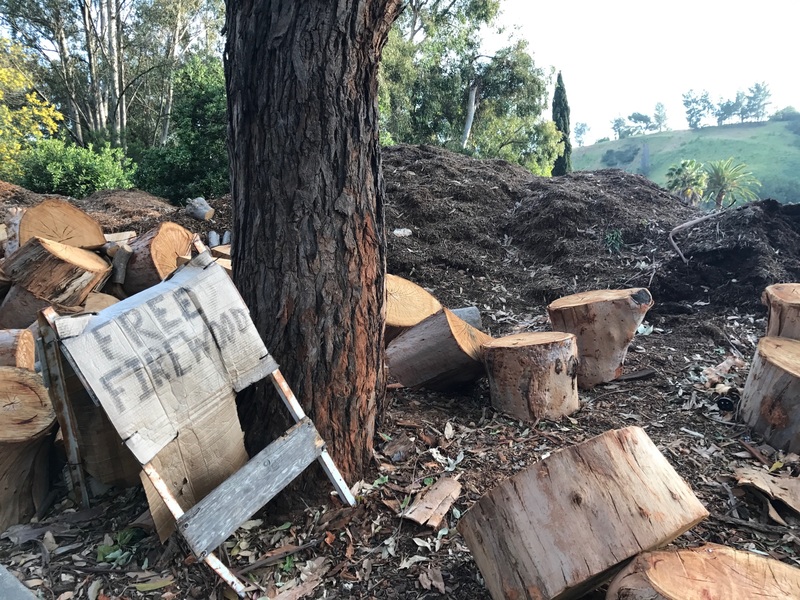 The free woodpile is going off right now! The last photo I took during the game. The irony was cranked up to 11 when my phone’s battery died on phone charger night. Good times. Special Guest: My buddy Matt. Check out his Star Wars short on Funny or Die. 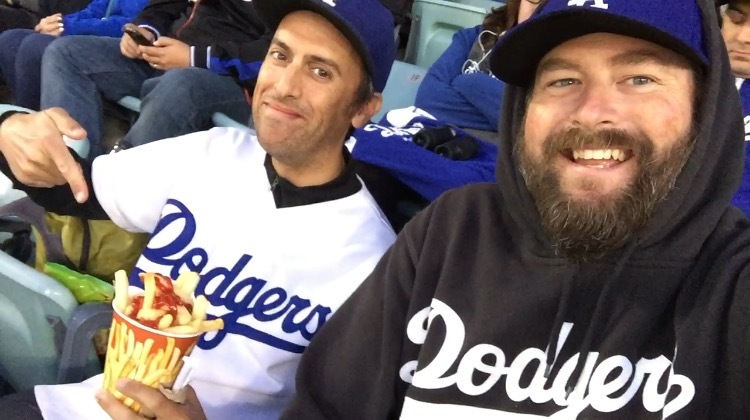 Snacks: Dodger Dog, regular fries, some of Matt’s fries, churro (for a hand warmer), some of Matt’s peanuts. Memorable Moment: The return of Don Mattingly. Matt shows off just about the only thing a Jewish vegan can eat at Dodger Stadium during Passover. 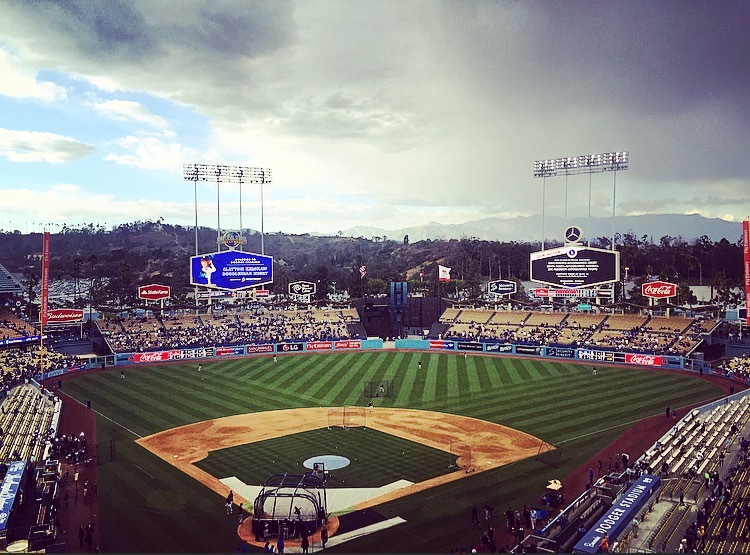 It was a dark and stormy night at Dodger Stadium. About 45 minutes before game time, a howling wind had the giant flags in center field as stiff as boards, sending rain (yes rain!) flying in every direction and fans running for cover. Things calmed down enough so that everyone returned to their seats in time for the official introduction of Don Mattingly as the manager of the Marlins. DodgerVision played a montage of assorted highlights from Donnie Baseball’s years in blue set to the theme song for Welcome Back Kotter, a rather melancholy selection. Don was greeted with respectful applause and a smattering of (mostly) ironic boos. Ross Stripling held the Marlins scoreless until Giancarlo Stanton led off the top of the fourth by sending the crowd at the left field bar running for cover with a cruise missile of a solo home run. Yasiel Puig and Trayce Thompson countered with shots of their own in the bottom half of the inning to put the Dodgers ahead 2-1. Stanton didn’t have to wait long to strike back. He raked a tying double to the wall in the fifth and the Marlins pulled ahead for good an inning later when Puig came up about half a mile short in his attempt to spear Derek Dietrich’s line drive triple out of the sky. In the bottom of the seventh, Donnie received his most sincere greeting of the evening when he came out to replace starting pitcher Wei-Yin Chen. The only way he could have been booed any harder is if he would have called for a double switch (his signature move) that involved Marlins hitting coach Barry Bonds trotting out to play left field. While I like Mattingly, I couldn’t help but laugh at the years of pent up angst raining down upon him. Over in the Dodger Dugout, Dave Roberts maximized the used chewing gum that was available pitch out of the bullpen and emptied the bench in the most strategic way he could, saving Adrian Gonzales until the bottom of the ninth to pinch hit with Joc Pederson standing on first. The Dodgers came up short but tonight is a new night and Clayton Kershaw is on the mound. And hopefully this guy won’t be at the ballpark. Yep. 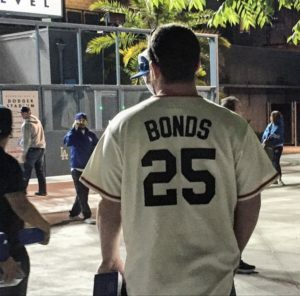 This guy was wearing a Giants era Barry Bonds jersey to a game between the Dodgers and Marlins. Hey there. My name's Todd. I go to a lot of Dodger games. Streamline your internet slacking by subscribing to A Very Pleasant Good Evening. Enter your email address below. So long, April. The Dodger Fam Won’t Miss You.